If Chess is fun (and it is!) 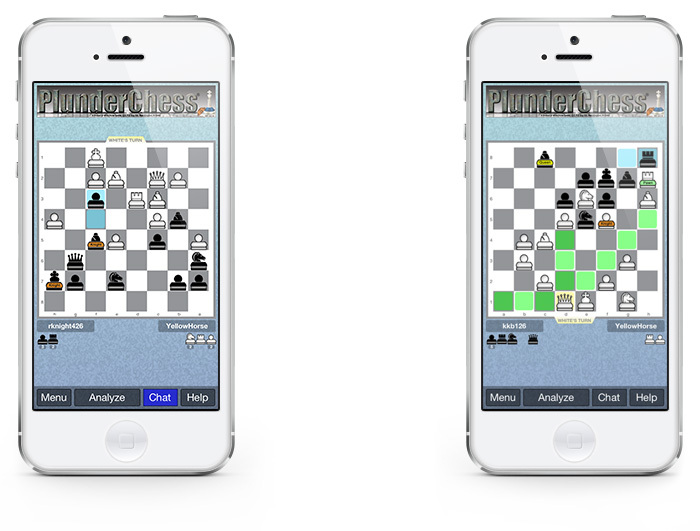 then PlunderChess® is EXPONENTIALLY FUN! Imagine playing chess like you always do, however this time upon making a capture, the chess piece doing the kill is allowed to "take on" (plunder) added moving capabilities directly from its spoils, and use those newly acquired capabilities on one future move! Henceforth, you have PlunderChess®. Beware, you will quickly be hooked!